First Malaysian flight MH17 was shot down, then a flight from Taiwan crashed due to weather and now an Algerian plane disappeared off the radar. This plane also crashed and is believed to be due to weather. Let us pray for all those who were on these flights and their loved ones. There have been 3 crashes in just one week. It is just disturbing and sad to hear. 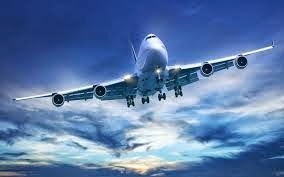 Flying on planes is supposedly the safest way to travel (http://mic.com/articles/53293/7-reasons-flying-is-still-the-safest-way-to-travel). Needless to say, I will not be getting on any planes anytime soon!